Great thread, which ones are these? Those are the Angstroms. BRAV has them on his car. 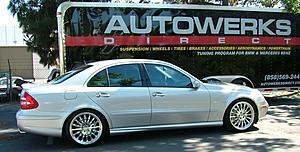 Anyone wanna buy me a set of Carlsson UL's in 19's??? i may be biased by it seems the 547r's (mine) and the brabus look like they belong. most others dont seem to "fit". just my 2c though. I'm sorry Benzo but does your license plate say "SUPER TURD"? I personally feel that the HRE 547R wheel does not have enough body to it and looks to light on the E55. Now, the HRE 441R and the 448R wheels have more body to them and would be my choice if I were going to use an HRE wheel. awsome thread!! 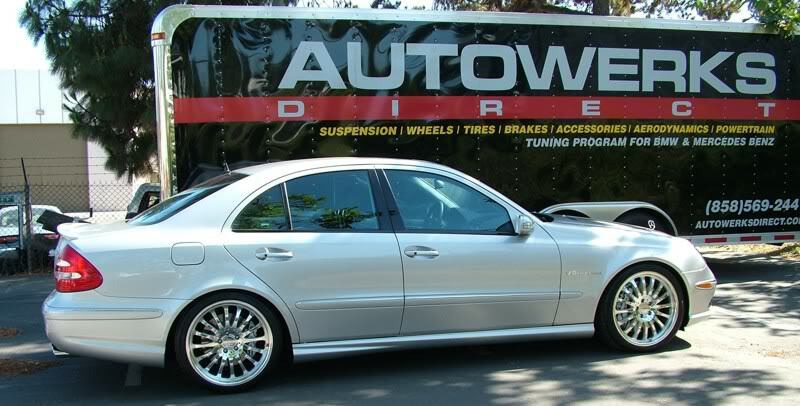 I don't know why, but thats my favorite one, simple and clean lorinsers on the grey e55, I wonder if those are 19s or 20s...next is the renntech, then the carlsson!!! Dayam it...someone please get me those rims. I promise to be a good boy and represent them well. I am lookin for new rims you know!~! ^why isn't your car in this thread? Last edited by BenzoBoi; 01-12-2005 at 12:22 PM. would those "bling" style wheels would work for racing events??? I have a bone stock '04 E55. I raced it in 5 autocross events last year and now I'm ready to get an extra set of rims/tires specifically for autocross and track events. Any advice on dimensions? Should I stick to the OEM dimensions? 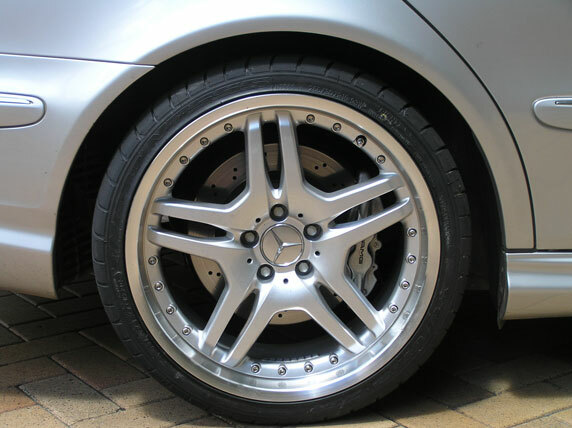 I doubt I could find a better wheel size than what all the engineers at AMG thought works best. However, it would be my chance to break away from my mild mannered look and throw on some larger bling-style wheels for the race events. any more of this car? 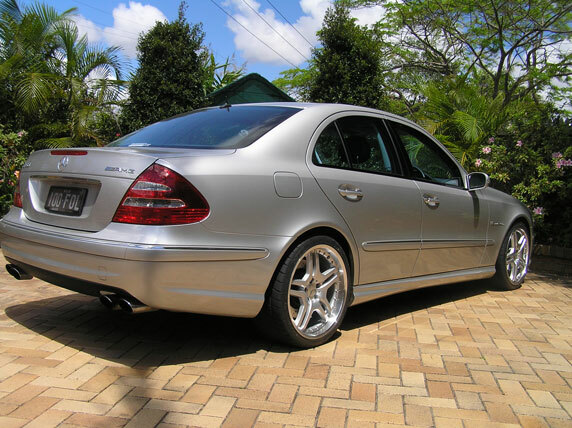 I have an 04 E55. 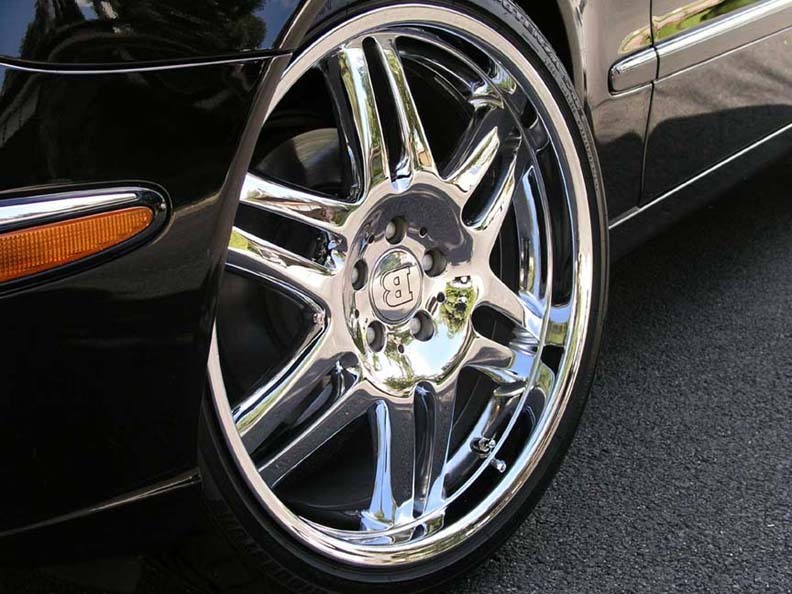 I am thinking about buying the 19" HRE's that "Dr. Chill" has on his car. However, I live in NY and I am concerned that I will bend the rims. Anyone that could give me some feedback on how easily the 19" rims bend would be appreciated. What is the biggest size tire that will fit in the wheel well with the 19" rim ? I am looking to cushion the rim. To the best of my knowledge the "biggest" you would be able to go on would be a 35 series tire for the rear and a 40 series up front. I could be wrong, someone please correct me if so. I had 20 inch HRE 542R's on my ride and had gone over many pot holes (not intentionally) and they have made it out no problem. I hope this helps out a little bit. Check out this thread from your fellow New Yorkers! Great thread... How did I miss it? Last edited by E552006; 01-06-2006 at 10:10 PM.